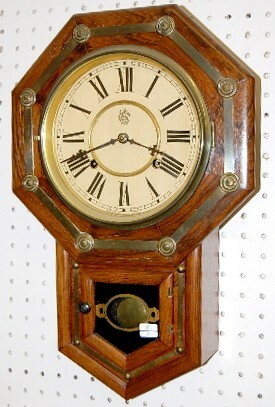 Oak Waterbury "Yeddo" Octagon Short Drop Clock time and strike; 7" marked paper on tin dial; has pendulum and key; painted lower door; 8" drop; heavy brass trim; not tested for running condition. (Dial lightly yellowed.) 18 1/2"